I set up ammi flowers in November 2007 (named after one of my favourite flowers ammi major). Leaving behind a career in retail finance in London and looking for a new adventure I embarked on a series of courses trying different things – it seems pottery and glass blowing are not my forte! Then I came across floristry and fell in love. I’d finally found what I had been looking for. I then trained for 2 years at Wiltshire College Lackham to gain my qualification and also attended courses at some of the top London florists to gain some insight into the more modern side of floristry. I knew I wanted my venture to be modern and stylish and a move away from the more traditional flower shops found in many market towns. I love European floristry and am inspired by the natural world, moss, lichen, foliages and natural wood and stone provide the ideas behind many of our designs. In particular our window displays which have become a destination stop for many in our pretty Wiltshire town of Devizes. 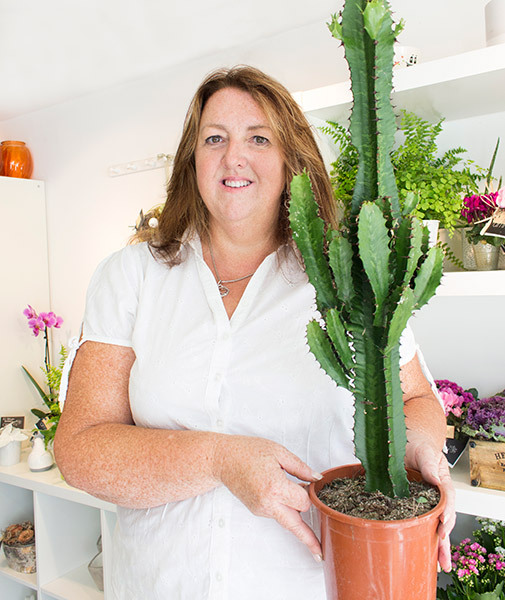 I now have a team of like minded florists who share my passion for floral design, good quality cut flowers, interesting plants and of course excellent customer service. I travel to Belgium to source many of the sundries and containers that make our style unique and provide something different for our wonderful local clientele. 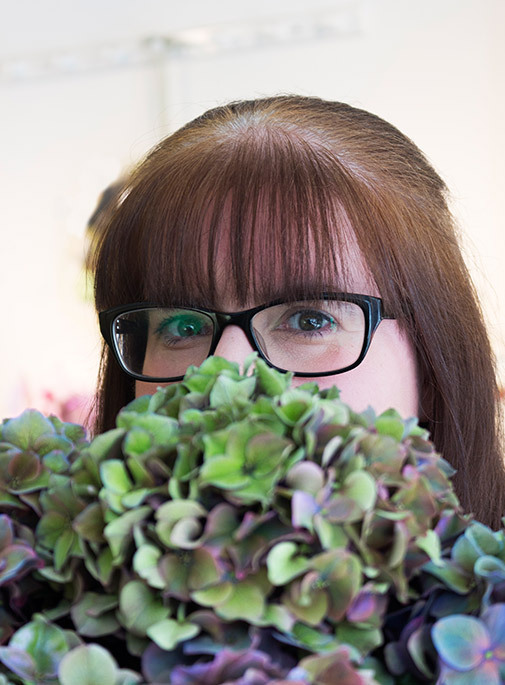 With 25 years of floristry experience and a continuing love of flowers (peonies are her favourite) Claire heads up the team. 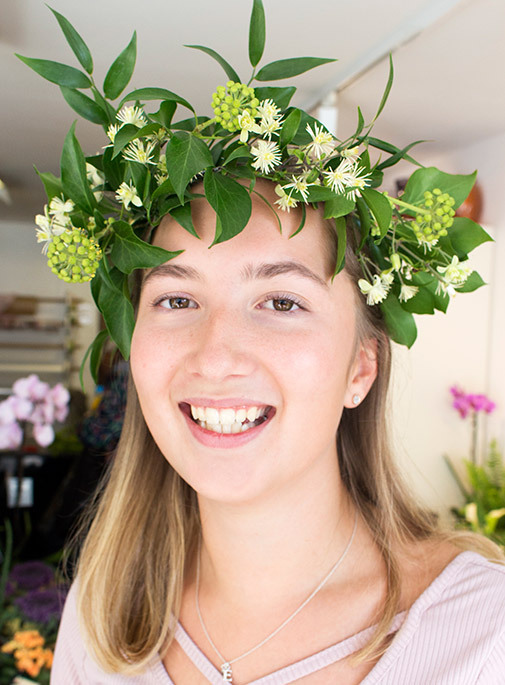 A newly qualified florist but already with a Chelsea Flower Show ‘Young Florist of the Year’ bronze medal to her name , Emily has been with us for 2 years and tries to keep us up to date on all things young and hip !! 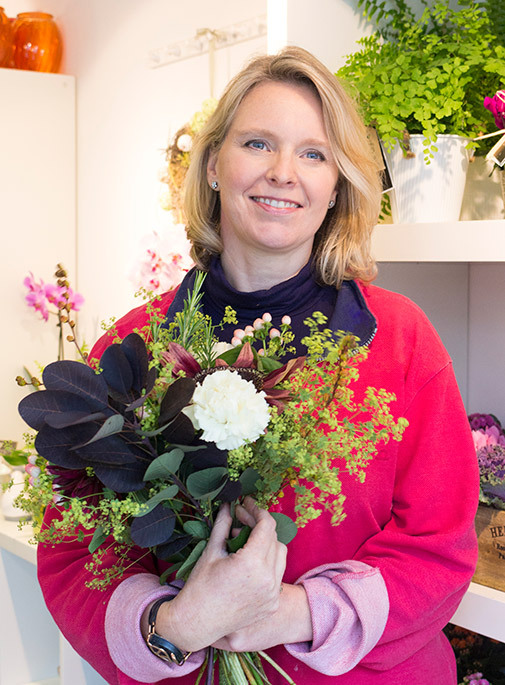 Having 7 years experience in floristry and a background in garden design and illustration, another Chelsea Flower Show winner with a five star award Susannah brings her artistic creativity to the team. Our long suffering delivery drivers who spend hours out in the surrounding villages tracking down houses with no names, in the middle of no-where or with impenetrable gates … But they love it all none the less and always deliver with a smile and a chat. 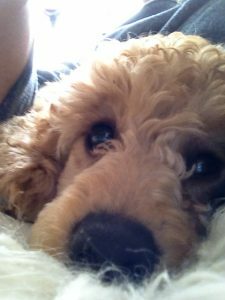 Millie my apricot miniature poodle is a regular visitor to the shop and thinks eveyone has come in to see her . So that’s us we hope you’ll pop in and say hello if you’re passing.